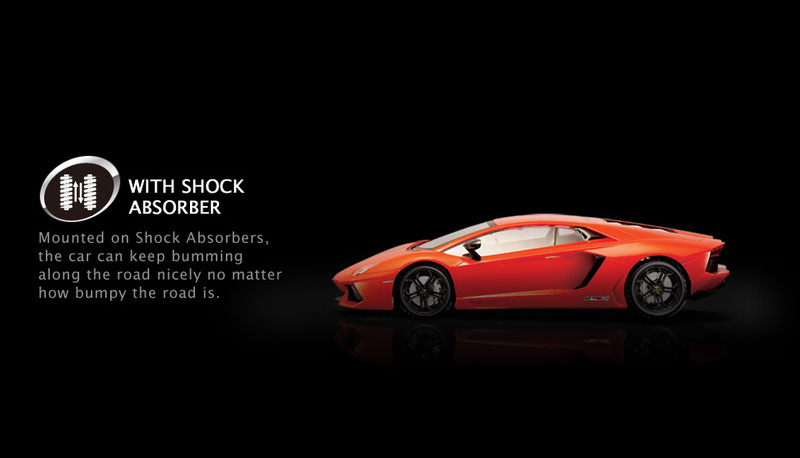 The Lamborghini Aventador is one of the most sinister looking cars you'll find released from the Lamborghini factory. 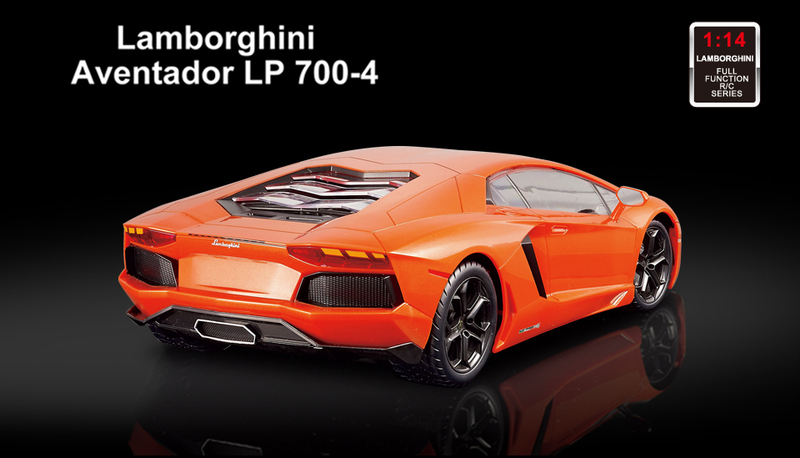 With a brand new V12 engine it launches this machine from 0-60 in 2.9 seconds and hits a top speed of 230mph. 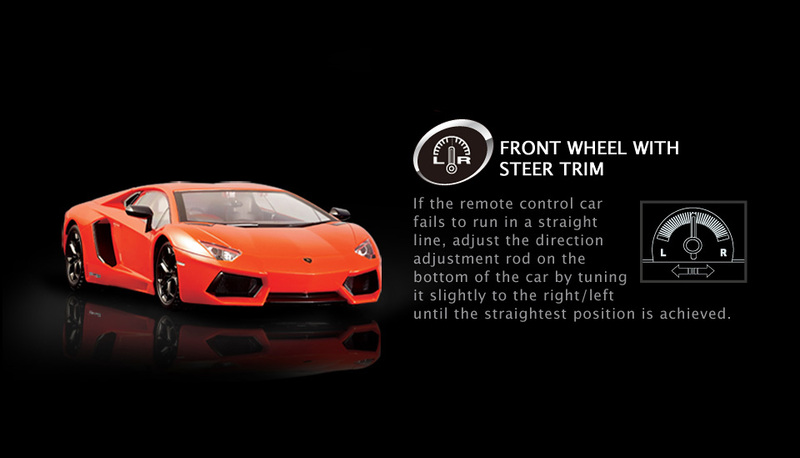 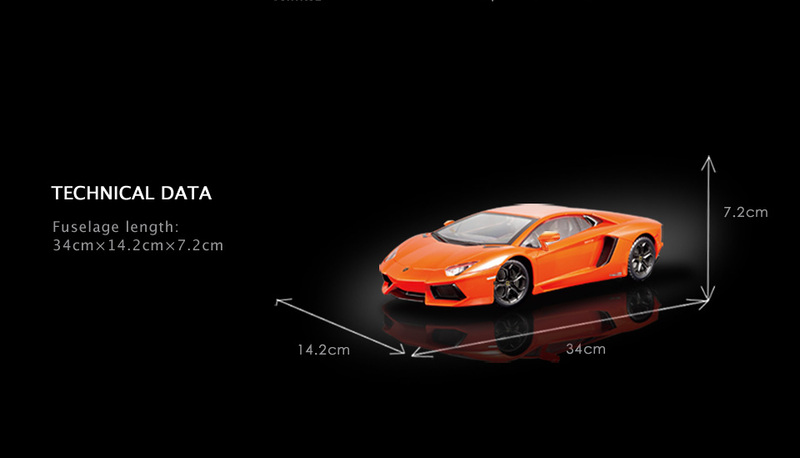 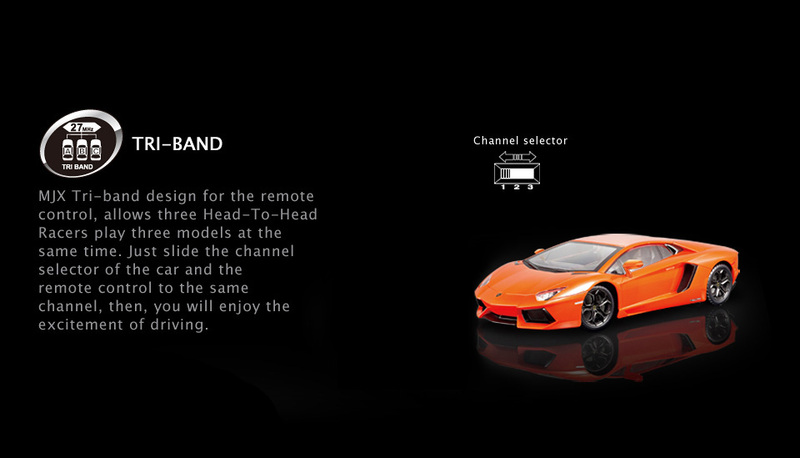 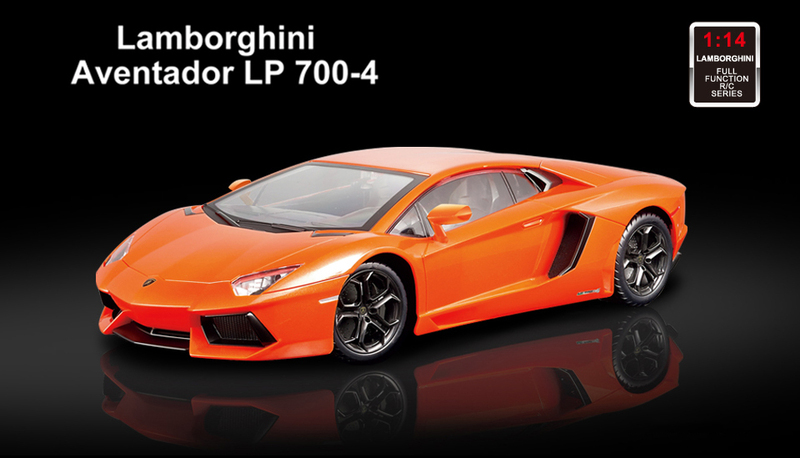 This radio controlled model is officially licensed by Lamborghini. 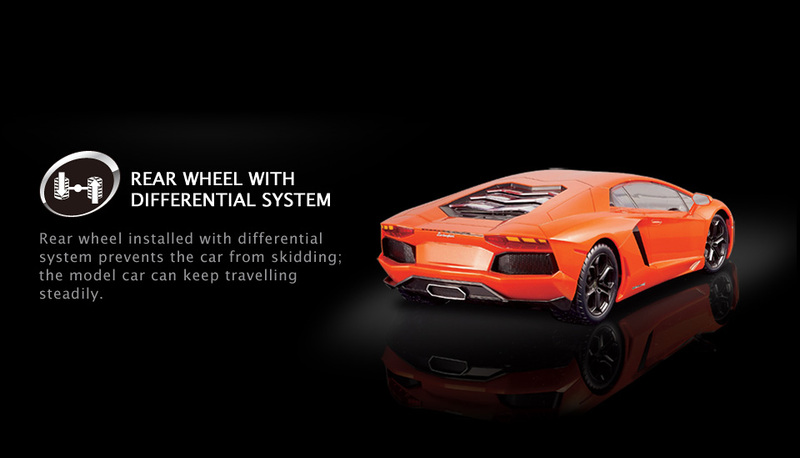 It looks good on the road and doubles as a model on your desk. 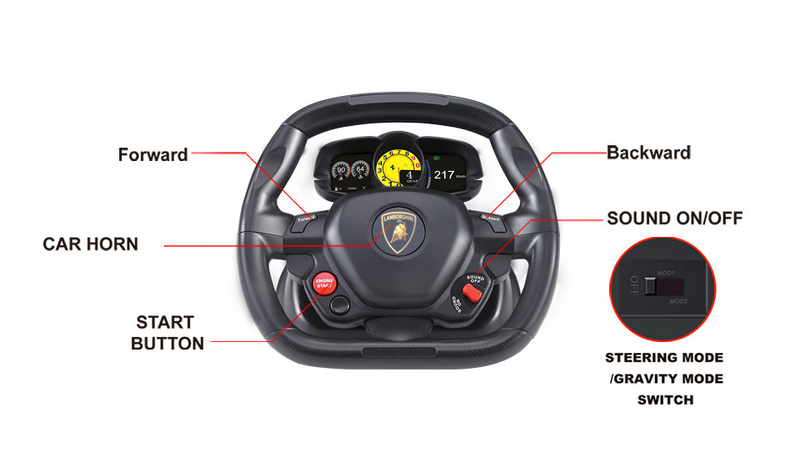 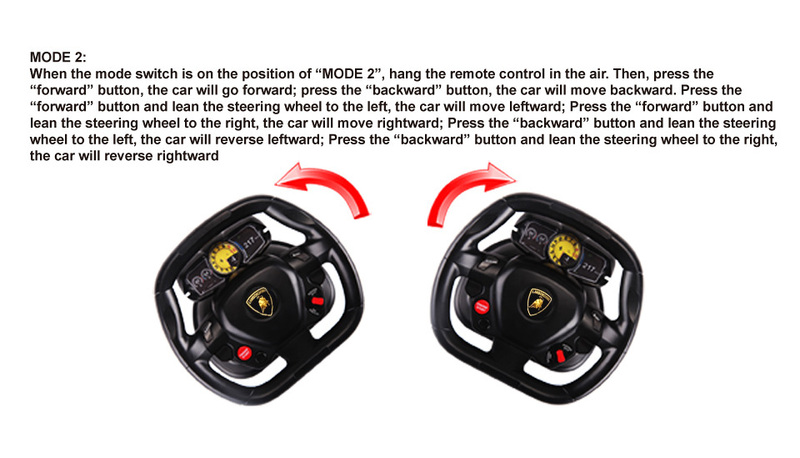 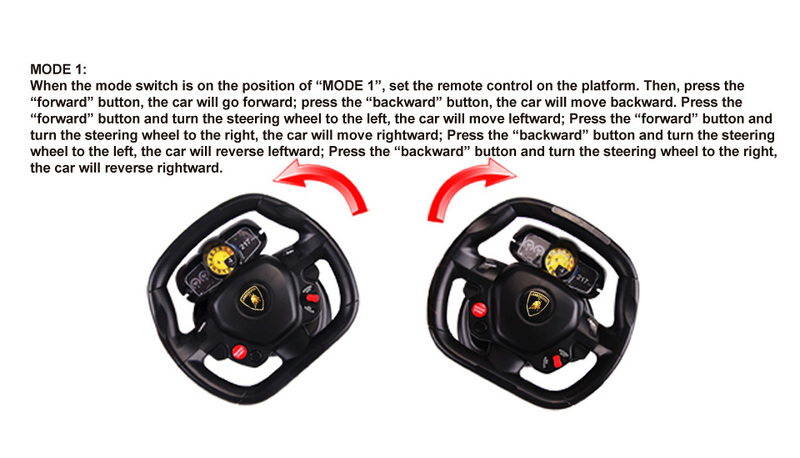 The remote controlled vehicle comes with a simulated steering wheel that operates brake and throttle as push buttons, drive shifter with reverse, neutral, high and low range, including buttons for engine start and car horn. 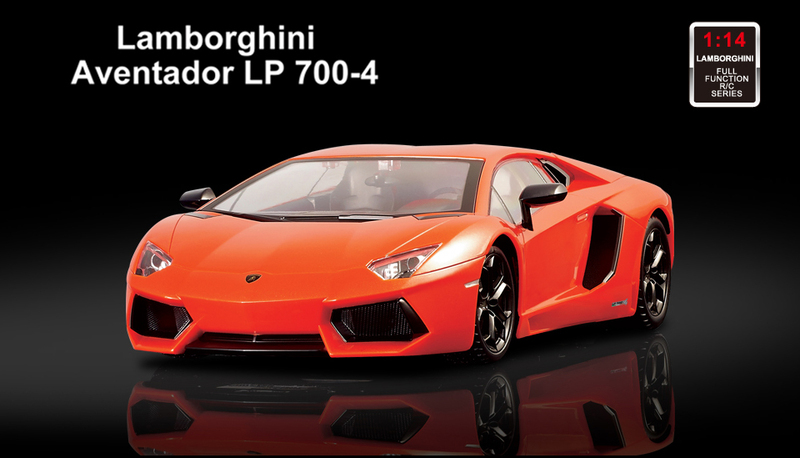 The vehicle features a high gloss paint job and detailed interior. 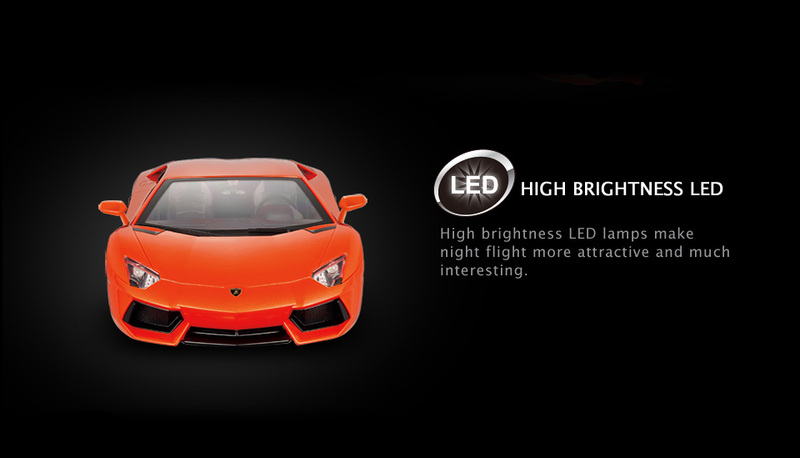 Comes equipped with working headlamps. 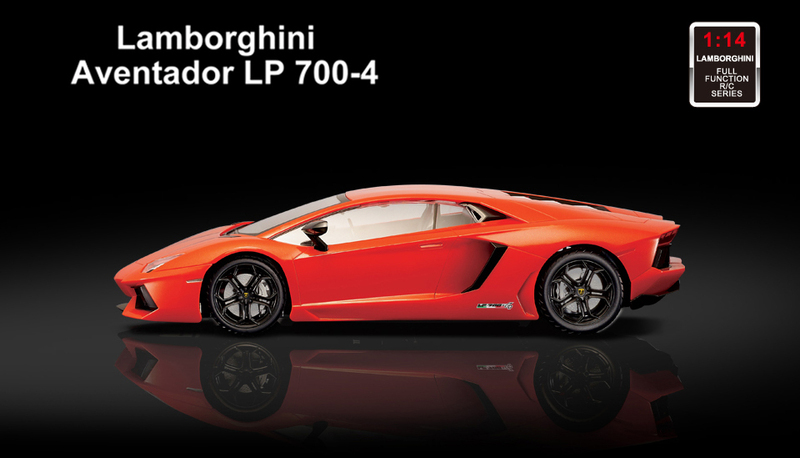 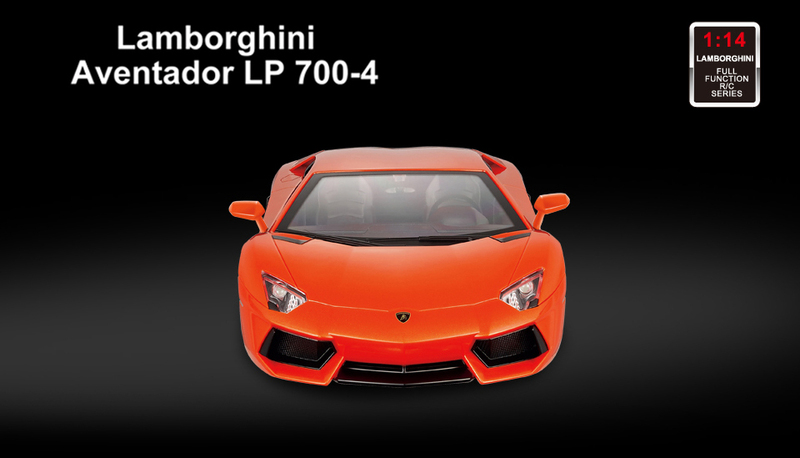 If you're looking for an authentic and realistic recreation of the Aventador LP700-4 then this licensed version is a must have.